A bartender had to have his finger amputated after a drunk patron bit it off, San Francisco police said on Sunday night. 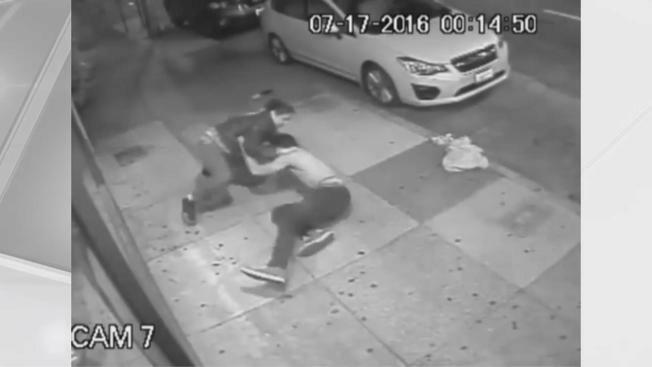 Police released the information and two surveillance videos about a month after the alleged finger-biting attack occurred. The videos do not show the finger biting, but police say the suspect is pictured in the video after the fact. Officer Carlos Manfredi said that the bartender was trying to close the Silver Clouds bar in the 1900 block of Lombard Street on July 17 at 2:15 a.m. when the suspect, who had been drinking inside earlier that evening, tried to get back in. The bartender told the man the bar was closed, which made him irate, police said and he began kicking and pulling on the bar door. The bartender went outside to tell the customer to knock it off, police said, which is when he allegedly started climbing on top of the bartender, hitting him in the face several times and bit his ring finger, severing it, Manfredi said. The customer then left the bar with some friends, police said. 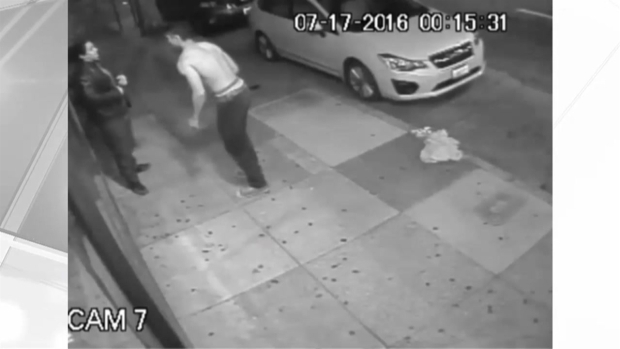 Surveillance video released by police shows the suspect an hour or so before the attack outside on the sidewalk, eating something with a pink button-down shirt on, and then wrestling, without his shirt, with a heavyset friend wearing a leather jacket. The bartender was taken to the hospital with swollen eyes, contusions to the head, scrapes and an amputated finger, police said. On Monday, police said the bartender is back at work. Police are asking anyone who recognizes the suspect to please call the department. The suspect is facing felony charges of assault and mayhem, which in the criminal code is described as the intentional maiming of another person. 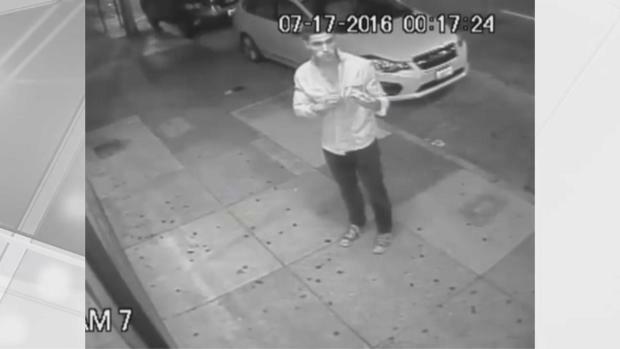 San Francisco police released an image of a suspect wearing a pink shirt who they say bit off a bartender's finger on July 17, 2016.